Join the members of APASA at one of our annual mini-conferences. APASA mini-conferences are friendly events that provide an opportunity to share your work and get feedback, meet colleagues who have similar focuses, and discover potential collaborators. "Theory and Practice in Amish Research"
SUBMIT A PROPOSAL-Although the formal deadline has passed and a first set of sessions are filled, proposals will be accepted until the remaining openings in the second set of sessions (concurrent) are filled. At that time, the submission system will close. The ongoing growth of the plain people—the Amish, Mennonites, Hutterites, German Baptists, Apostolic Christians, and others—means that more and more people are encountering these subcultures in the public sphere. For this reason, those who specifically study or work with the plain people—including health practitioners, public servants, and social researchers—must continue advancing our bodies of knowledge and best practices through critical evaluation of old paradigms and introduction of new concepts. The goal of this conference is to discuss advances in theory—the conceptual understanding of the plain people—and practice—the hands-on experiences of practitioners working with the plain people. We will also explore the connection between the two, how the lessons of one can be used by the other. We invite proposals for paper presentations, panel discussions, posters, and organized sessions that address the conference theme, from theoretical expositions to cases of best practices. We also welcome proposals addressing other topics about any plain Anabaptist group. Community members, agencies, health care providers, educators, faculty, and researchers are all welcome. Abstracts will be accepted for consideration up until the program is full. Other topics will be arranged as individual presentations are submitted. Thought-provoking conversations, presentations, and panels, all within a collegial context, have characterized past meetings of APASA. We strive to make our meetings affordable and this year will be no different. 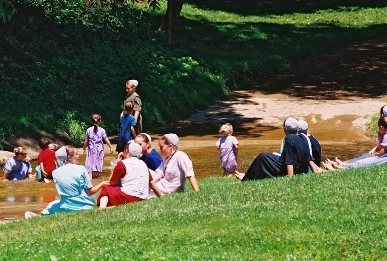 The conference is located within the sizeable Holmes County Amish community. The greater Holmes County area provides many opportunities for research and leisure. Registration will include a full, formal supper. The conference hotel offers a complimentary full breakfast for overnight guests. For lunch, attendees have the opportunity to try out one of several locally owned restaurants that operate within two blocks of the conference hotel; cost is separate. Area airports include Akron-Canton (1 hour), Cleveland (1.5 hours), and Columbus (2 hours). Amtrak has stations in Alliance (1 hour) and Cleveland (1.5 hours). Greyhound services Wooster (25 minutes) and Shreve (15 minutes). For participants seeking transportation from these terminals, contact Cory Anderson (email above) for arrangements. We welcome K-12 educators who are seeking continuing education credit and who work with the Amish, Mennonites, German Baptists, and/or Apostolic Christians. Our program will be geared toward general cultural competency in work with plain populations so will be useful in educators' work. However, check with your school district to ensure that this event qualifies for credit. APASA has a block of rooms reserved at the beautiful, historic Hotel Millersburg in downtown Millersburg. 35. W. Jackson St, Millersburg, OH 44654; 330-674-1457. Hotel Millersburg is listed on the U.S. Department of Interior's National Register of Historic Places and is located in the Millersburg National Historic district. APASA will hold its main sessions in the Hotel Millersburg. The rates are a real bargain but reservations must be made by June 1. Mention "Amish Conference" when calling to receive the discounted rates. You must call to receive these rates; rates will not be honored for internet reservations. A full breakfast is included for hotel guests. Don't delay in booking a reservation! These rooms are unlikely to last after June 1. Millersburg's second "Antiques in the Alley" event in downtown will be on Saturday, August 3. While this provides an extra activity for conference guests the day after the conference, this and other hotels are expecting the event will fill rooms to capacity. Friday, June 1, 2018, at the Amish & Mennonite Heritage Center. The Amish & Plain Anabaptist Studies mini-conference at the Rural Sociological Society annual meeting in Columbus, OH. Thursday and Friday, July 27-28. The poster and program is available at this link.